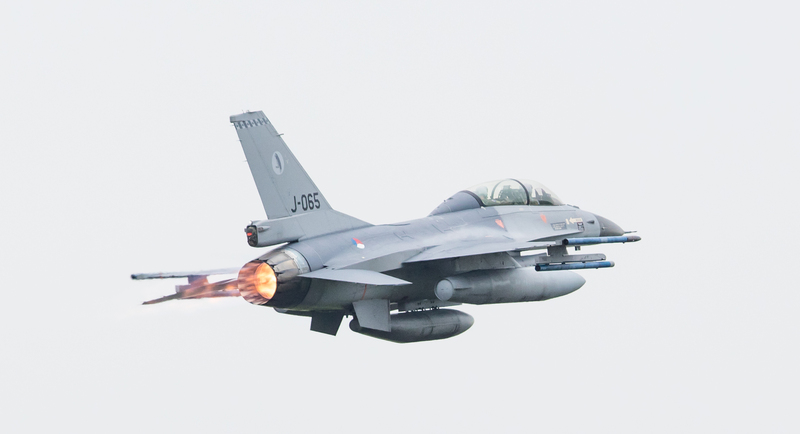 Enlarge / A Dutch Air Force F-16 had a close encounter with its own cannon shells in January. As Popular Mechanics’ Kyle Mizokami reported in 2017, this is not the first time this sort of thing has happened. During flight testing in 1956, a Grumman F-11 Tiger flying from Grumman’s test facility in Riverhead, New York fired a burst from four 20mm cannons toward the Atlantic Ocean. The pilot then entered a steeper dive, kicked in the jet’s afterburners, and went supersonic—when suddenly the windshield blew in and the engine failed. The pilot had caught up with the shells and in the process shot himself down. Meanwhile, the Dutch Air Force is in the process of replacing the F-16 with the Lockheed F-35A; eight are scheduled to be delivered in 2019. The F-35A carries the four-barrel General Dynamics GAU-22 Equalizer, a 25mm cannon that carries a mere 182 rounds in its magazine—so about two seconds worth of shells. That might make for fewer opportunities for a self-kill.